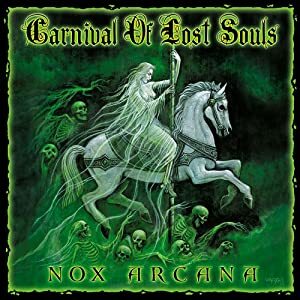 Carnival of Lost Souls is another concept album, this time based around the theme of a dark carnival. I’d say that this theme allows for a little more wiggle room on the quality of sound, because if you think about it, carnival and circus music are typically a little cheesy and use organs and other instruments which a keyboard can more easily reproduce than say the sound of a violin or a trumpet. Considering this, I think Carnival of Souls might be their best work, at least in my opinion, and for gaming purposes of course. “Cries in the Night” and “Freaks” are some of their sound fx tracks which are almost always my favorite part of any of their albums but I always wish would last much longer than a minute or two. Some of the highlights of this album are: “After Hours”, “Calliope”, “Hall of Mirrors”, “Haunted Carousel”, and “Living Dolls”.